This delicate Lemon Sponge Cake is layered with Anathoth Farm Lemon Curd and fresh berries to make a luxurious dessert, that is perfect for little hands to recreate this Mother’s Day. The inclusion of Lemon Curd in the frosting makes the icing light and fluffy with a hint of tart lemon for bite. Finished with fresh berries, this Lemon Sponge Cake is truly something special. Also, f you’re pressed for time, or baking experience, why not purchase an unfilled double layer sponge cake to use. Mixed berries – to serve and fill. I used blueberries but raspberries and strawberries are wonderful to use too! Grease 2 x deep, 20cm round cake tins (or different tins, as directed in individual recipes) and line bases with baking paper. Sift flours and 1/4 teaspoon salt together three times to aerate. Meanwhile, Using an electric beater or kitchen mixer beat the cream cheese, butter, Anathoth Farm Lemon Curd and icing sugar until pale and creamy. When the cake is cooled, top one half with ½ a pottle of Anathoth Curd Lemon Curd and a selection of mixed berries, place the remaining half on top and place in the fridge to set for ten minutes. 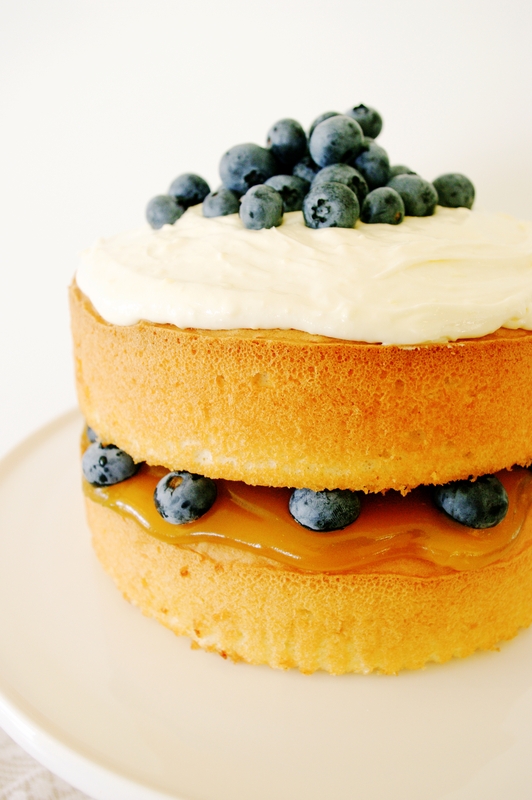 Remove the cake from the fridge, top with a the Lemon Curd frosting, decorate with mixed berries and serve. I can already smell heaven!